Local elections in Osaka were held this past Sunday. 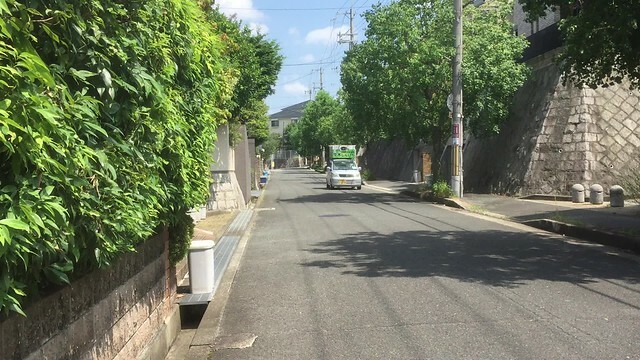 Our arrival to Japan was marked with politicians driving around the neighborhood announcing their virtues as a candidate with loudspeakers. On my way to school, I shot this short video of a typical candidate van. Several acknowledged me on the street while driving by saying hello (konichi wa). I wish my Japanese was better to understand what they were saying. I am not even sure what the elections were about. In looking at the election board in my neighborhood, if I were eligible to vote, I like Hideo Takeuchi from the One Osaka party pictured below. One Osaka is a movement to reduce redundancies in the metropolitan government structure through mergers, which I favor. I don’t know who he is or what his policies are, but I like his originality in promoting his candidacy by highlighting his love of dogs. I wonder if he walks his two dogs in a suit all the time? Hideo Takeuchi does walk his dogs every where in his suit. He use to have two Redsetters. I have met him many times near the post office and Minoh City office. He speaks English fluently and is at the boys elementary school (Nakasho) throughout the summer helping kids across the rode. Sometimes he wears a safari cream linen suit with matching pith helmet … he is fun, eccentric and outlandish for Mino…. The candidate near where we live rides a Panda motorbike but I like Takeuchi better. I was told by a neighbour a few years ago that it costs 10 million yen to run a local political campaign here!